drove me insane. But something about her got under my skin, and into my heart. Now.Falling in love in the back of a truck, just the two of us, was easy. What a perfect sequel for Storm, I loved it! Loving Storm is fresh change now when so many books are full of everything dark and twisted. It was so sweet to dive into Loving Storm, knowing that it’d be full of love, passion and all things happy. 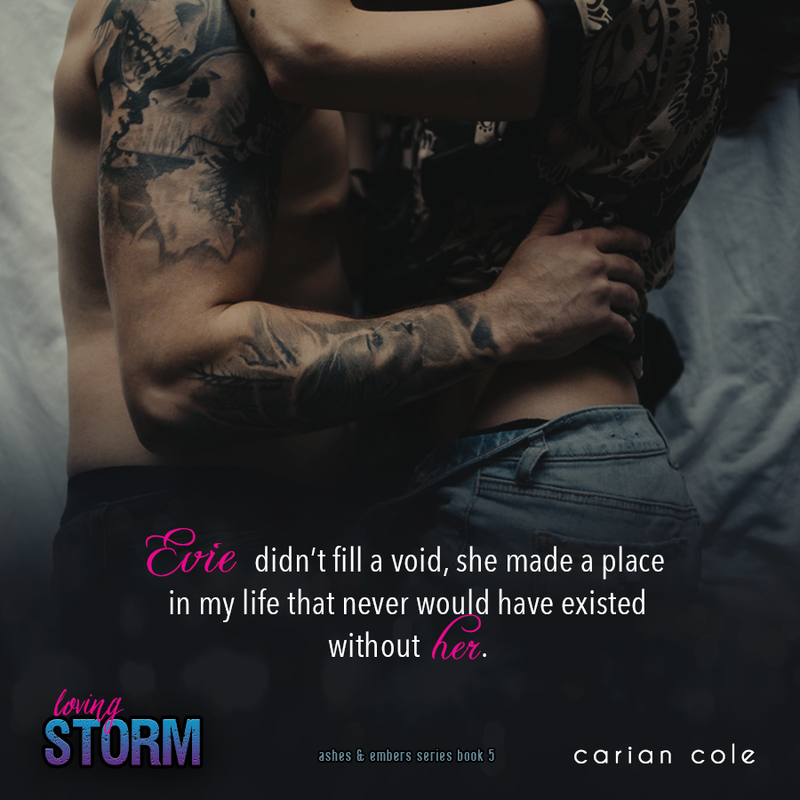 Storm and Evie were the same persons we got to know in Storm, only wiser and stronger and more confident in their love. Storm was still the fun-loving guy, who isn’t afraid to show the world how much he loves and adores Evie. In this book, both Storm and Evie close the door on their pasts. Some of it is going to infuriate you, some of it will break your heart and make you cry. But there’s no moment when you’ll have to doubt their love or commitment towards each other. Carian Cole has once again painted the canvas with beautiful words that speak to your heart and soul. Her talent is something fierce and magical. This novella is positively my new happy place. Next PostE.K. Blair: Crave pt.2 Release Blitz!